The browser wars of yesteryear between Microsoft and Netscape seem so quaint. (And look what happened to Netsacpe, too.) Today it is all about Adobe Flash versus the multi-touch swipe technology that is part of Apple's product lines. Why is this a war? Apple's iPod, iTouch, and now iPad all share a lack of support for Adobe's Flash technology, the animation glue that binds Web pages to in-line video playback. When you bring up your Safari browser in these devices, you see a big blank nothing on the pages that have Flash content to play. And what that means to me is that Apple has made it clear: rewrite your sites to support our own technologies (including new apps that are certain to populate the iTunes Store soon), or be forever absent from this brave new world of cool devices that Steve is creating. Flash will bring about the Internet TV revolution a lot sooner than the misinformed mainstream TV executives will like to admit, too: the more video that gets encoded in Flash, the fewer hours that 20-, 30-, and 40-somethings will spend in front of their living room TVs, if they even have living room TVs anymore. See what has happened to Leno et al. Their best bits are immediately uploaded to YouTube and watched the next morning. That is the power of Flash. But Apple has its own idea about how to watch video, and it has nothing to do with standards that anyone else creates. It is about making Web content creators develop new iTunes Apps that can deliver their content customized for their devices. 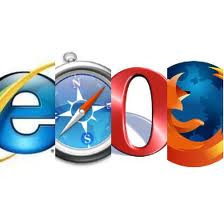 Anyone using an ordinary Web browser can be ignored. Granted, they have sold a lot of iPhones, so it isn't a market that has been marginalized like their share of the PC market - but still. Why do so many Web site owners want this? Because of the latest Steve reality distortion field. See the comment about Doonesbury above. It is ironic, because in the early days, Apple was a big boost to Adobe's Postscript technology, the glue that made printing pretty pages from your PCs possible. But let's not rest on these accidents of history.